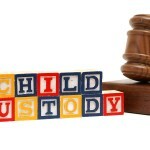 What Do the Courts Consider When Determining Child Custody? 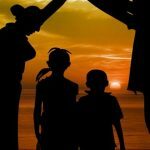 Child custody cases can get very emotional, and each side wants to win the best outcome for their child, and for their relationship with the child. 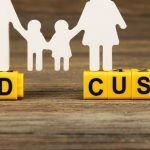 To keep things from being totally subjective while a decision for custody is being made, the courts will make several considerations before coming to a decision. Below, our child custody attorneys take a look at a few of those considerations the California court will look at. 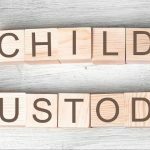 By the time a custody case hits the court system, there has been a system developed between the two parents concerning custodial time, visitation, responsibilities, etc. The court will be interested in knowing if this is working out, and is it in the child’s best interest. The status quo, or what’s going on right now, provides a backdrop for any decision the court will make. If a parent intends to make an appeal to the court that reverses the status quo, they should be prepared to show evidence or give testimony as to why the status quo is not in the child’s best interest. Can a child just pick which parent they want to live with? Well, it’s quite a bit more complex than that. 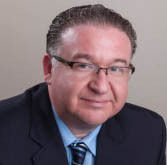 A child’s input will certainly be considered, but the court will consider it in addition to mitigating factors, such as the age and maturity of the child, and parental conditioning that may be influencing the child’s preference statement. The court will look attentively at whether honoring the child’s preference will alienate the other parent, and is this alienation justified. This may be stating the obvious, but if a parent has a history of violence or abuse, they are not likely to enjoy a joint custody arrangement, legal or physical. A sole custody argument will not be entertained. This goes hand in hand with the statement on violence and abuse shown above. If false allegations of child abuse or violence are leveled against the other parent, rest assured it will have a negative effect on your case and the desired outcome. In addition to actual misconduct along these lines, you do not want to argue in front of the court for custody when you have a history of being uncooperative with the other parent in making compromises that benefit the child. This is the biggest issue that is considered in a custody case in California. Is it vague and broad? Yes. It’s meant to be that way, so that a court can have the latitude it needs in making a custody decision. It’s important to do some soul searching before going to court. What is actually in the child’s best interest? If you don’t consider it, know that a judge will consider all the elements that make up this standard in California family law. When a judge makes a ruling in the child’s best interest, and lists the factors that were considered when reaching that decision, it becomes very difficult to form an appeal and solicit for changes. Be prepared to attend your custody hearing with your child custody lawyer, and keep what’s best for your child at the forefront.